~Kate announced a new Spring/Summer Linky Series that will begin later this month. A great line-up of fun themes! She also gave readers a long-awaited reveal of her Boy's Room. It didn't disappoint! ~My sister sent me the link to Kelle's State of Our House post; I think to make me feel better. 'Cause the state of my house can best be described as FEMA zone 5. I could relate to this one! ~Bloggers, are you a Tacky Guest Poster? Please read this excellent post by Heather over at Crafterminds. ~Want to know how to Make Your Own Cookie Cutters? Callye will show you how in her guest post at Tatertots and Jello. I shared about the importance of "Just Because" Days and launched a new Series on Blog Commenting. My daffodils are also in bloom...time to say "hello" to Spring and DeWinterize. And I got to attend a really fun Girls' Night Out this week that was out of our normal "coffee/dessert/dinner" date. Today is the super-fabulous day I get to shop early at the local kids' consignment sale. I'll be looking for some Spring and Summer clothes for the girls. T and I are going on a DATE tomorrow night with a few other couples. I can't even remember that last time we went on a date, and I am so excited! I need to find the perfect outfit, stat! Back tomorrow with some highlights from Weekend Bloggy Reading! Thanks for hosting! 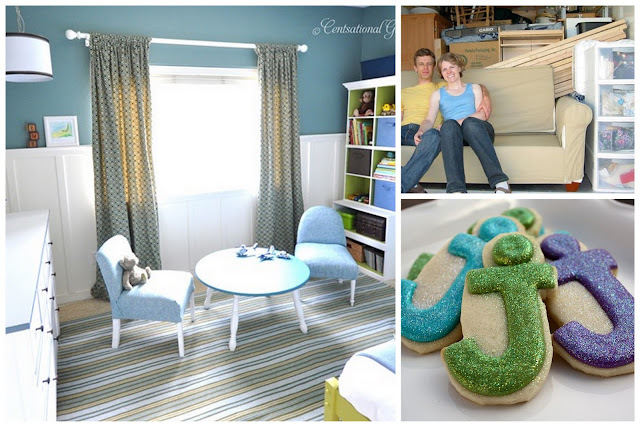 I linked my Pop of Color Scrabble Decor project from my new blog Oh So Chichi ... I debuted the blog yesterday! Your button is proudly and permanently displayed under "I Party At"! Yay! I actually had a cute project worthy of a link up today! Thank you for hosting this Amanda! I've been reading and commenting on many of the entries so far. Stop by next week though, I have 2 new projects to show! Wow, I just got lost on Sugarbelle's blog. Amazing! I need to read the state of my house article :) love those cookie cutters-saw them yesterday! have a great date night-sounds like so much fun-no fair you got a girls night out and a date night in the same week!!! Thank you for hosting, so many great projects to visit...! Thanks for hosting. You always have good links, but my gracious, they ALL look great this week! Gotta check 'em all out! Thanks again for hosting this party! 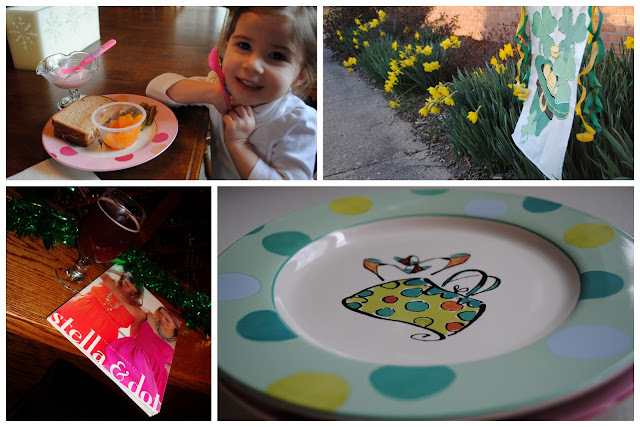 I truly adore your blog and enjoying linking up to your Weekend party as often as I can. I so love looking around to see what everone has been up to during the week! First time linker!! Saw you share your party on twitter! :) Happy weekend!!! Hi Amanda! I'm linking up this weekend, and am looking forward to meeting some new bloggers! Thanks for hosting :) I hope you have a fabulous weekend! Thanks for highlighting my salsa today! It is truly yummy and oh so easy! Fun links this week! I think cluttering a house must be genetic for me. Try as I might, the stuff in this place seems to multiply overnight. I also enjoyed the tacky guest poster post. It would stink to be all excited to have someone guest post and then have it end up being a dud.